Datsun Go+ MPV to get a turbo diesel engine? Rumoured-ly, the Datsun Go+ MPV, which is due for an India launch in early 2015, will get a 1.5 liter turbo diesel engine option. The Go+ MPV is built on the V-Platform that also underpins the Datsun Go and the Nissan Micra hatchbacks. The Nissan Micra already hosts a diesel engine in the form of the 1.5 liter K9K turbo diesel motor that makes 65 Bhp-160 Nm. In case the Datsun Go+ indeed goes diesel as a web report suggests, the K9K diesel motor, in the same state of tune is likely to be used. This engine has acquitted itself well in India, for terrific drive-ability, reliability and good fuel efficiency. 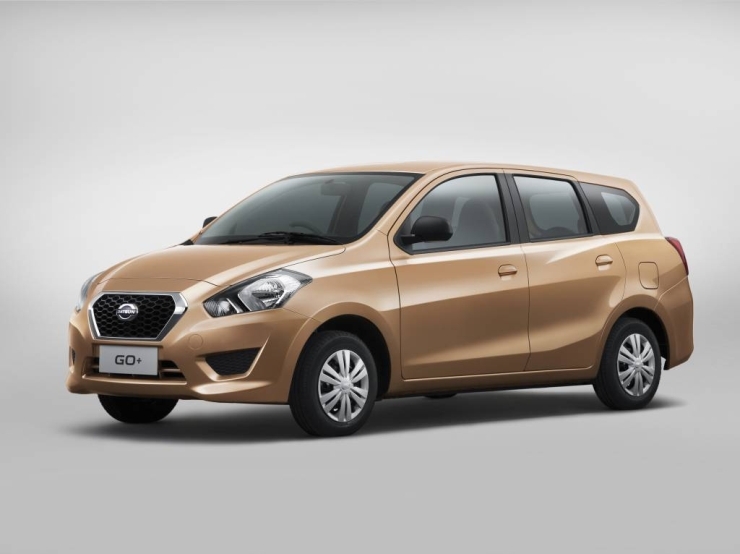 While a diesel engine option for the Go+ is not an impossibility, such an option does come as a surprise as Nissan has been toeing a line that the Datsun Go range won’t get diesel power due a small engine bay. The Datsun Go+ MPV shares its engine bay with the Go hatchback as it is a station wagon version of the latter, with a longer body style. The Go+ MPV will the Japanese budget car brand’s second offering for the Indian market. The additional length on the MPV has allowed Datsun to cram in a third row of seats, taking seating capacity to 7 adults. In terms of overall length, the Go+ will sit under the 4 meter mark, thereby qualifying for a lower rate of excise in India. The petrol powered Datsun Go+ will use the 1.2 liter HR12DE petrol engine that gets a triple cylinder configuration and 67 Bhp-104 Nm power and torque outputs. A five speed manual gearbox will drive the front wheels of the Go+ MPV’s petrol and diesel variants. Given the excise duty reduction on the Go+, and extensive parts sharing with the Datsun Go, the MPV could be priced very competitively. A price tag close to the 4 lakh rupee mark for the base-petrol powered variant will mean that the Go+ MPV brings terrific value to the table. The Go+ will be built at Renault-Nissan’s joint manufacturing facility at Oragadam, off Chennai. Like the Go hatchback, the Datsun Go+ MPV will crank up localization to a near 100 %, to keep production costs low and to also ensure low long term maintenance costs for the Indian car buyer. Trial production of the Go+ MPV is said to have already begun at Oragadam, with the first crop of MPVs lined up for display by the end of this year.